Disability or living with special needs should not prevent you from holding a great job or starting your own business but the job search can be challenging. Log into SpecialJobs.com.my, a job portal catered for individuals with special needs. Our goal is to increase employment among people with special needs by partnering with equal opportunity employers. From embracing a culture of inclusion and respect to cultivating ideas which encourage collaboration, flexibility and fairness, our partners are committed to providing a progressive environment for you to achieve your potential. SpecialJobs.com.my provides a dedicated space for job postings by employers offering inclusive employment. By posting job opportunities, or searching resumes, your business can find diversity in persons with disabilities as well as demonstrate affirmative action and open door policies. Our goal is to eliminate barriers to employment and bridge the gap between job seekers with special needs and the employers who want to hire them via our online interface, specifically designed to deliver "barrier-free" e-recruitment. Meet Taufik, a seven-year-old deaf and mute boy from Senaru village in North Lombok. This unassuming child is now hailed as a hero for his act of helping foreign tourists evacuate from the area when an earthquake jolted Lombok Island recently. The boy, who lives with his grandmother, earns a living by acting as a guide assisting tourists and visitors at the Tiu Kelep and Sendang Gila waterfalls in Lombok. He assisted Malaysian tourists to find a route out of Tiu Kelep Waterfall, when a 5.4-magnitude earthquake occurred and triggered landslides on March 17. This is how survivor Wong Siew Lim, 56, narrates Taufik’s heroism: “If not for him, I and six others would have sustained serious injuries that could have been tragic, more (of us) could have shared the fate of our two Malaysian friends who were killed in the catastrophe. “Taufik was the first to rush towards me and a few others to help us at the exit when the quake occurred while his older cousin Tomy Al Bayan ran towards the others in our group who were having a dip. “My friends and I followed Taufik towards the exit, while Tomy was still in the waterfall area when the second quake occurred. Taufik had turned to see a huge rock hitting Tomy and my two friend. “The boy assisted us by showing us the way out from the area.” According to Global Peace Mission (GPM) Malaysia chief operation officer Syahrir Azfar Saleh, “while he was being carried, Taufik assisted us by showing the way out from the location (of the waterfall).” There are now plans to bring Taufik to Malaysia, and GPM wants to provide him with any medical care he needs. Well done Taufik. You are indeed a hero. What stands out about Amanda Kong Hwei Zhen, 24, is not merely her visual impairment, it is in fact her intelligence, self-sufficient nature and a woman full of personality that exudes life. When I first met her many moons ago, I really didn’t know how to deal with her being blind, much like many people who have met her. I was curious about this woman who was born with congenital (childhood) glaucoma and graduated with a First Class Honours from the University of Liverpool, who stood tall when called to the Malaysian Bar, and aspires to school people on the rights of persons with disabilities who want to live in a world where their disabilities are not viewed as ‘heroic’. Regardless of able-status, that’s one impressive resume! One wonders, how she managed to do it all. How does she navigate the world without the one sense many of us rely on so heavily? Enter Allison Won Yuen Fong, Amanda’s mother and source of inspiration. We interview these two resilient women this #IWD2019. Read on to find out more. Allison: 1. Tell us a bit about yourself. My name is Allison Won Yuen Fong. I am 56 years old. I am happily married and blessed with three wonderful children. As my eldest child, Amanda was born with visual impairment, I decided to give up my fulltime job as a secretary and become a homemaker to care for her. 2. What is your role as a mother in raising a visually impaired child? As a parent with a disabled child, it is important to help your child cope with his or her disability in the best way possible. I helped Amanda by figuring out ways to get around things such as navigating through obstacles and mobility access, a simple example being counting the number of steps to reach a particular destination and removing furniture in the house in a way which made it easier for Amanda to walk around the house without bumping into them. I learnt Braille and taught it to Amanda. In addition, I thought her certain essential house chores, such as cooking and doing the laundry. I always believed in her and never gave up on her. I helped her whenever she faced difficulties in her studies. For instance, when Amanda faced the problem of lack of study materials during her years at school, I will prepare and translate the books into Braille for her, and produce tactile diagrams for her. I have always endeavoured to support Amanda by always encouraging her to pursue her life goals. I provided emotional support during trying times. 3. What has helped Amanda the most to succeed in university and outside university? Amanda always has a positive outlook on life. She believes that perseverance and determination are the key to achieve one’s life goals. She is very hardworking and diligent. Hence, I need not worry much about her. She always pushes herself to do her best in everything she undertakes. I only provided the necessary support during trying times and have always been there for her as her main pillar of strength. I am proud to see her come so far. I am truly grateful to all the people who have helped Amanda throughout this long and incredible journey – all her teachers, lecturers/tutors at BAC and the University of Liverpool who are most accommodating in providing the necessary support, and her friends who are always ready to lend her a helping hand. 4. How do you spend time with your daughter? During our free time together, we usually go shopping or to the movies and even travel together (just the two of us!). It is the best time to bond and nurture the mother-daughter relationship. 5. Your hobbies? Gardening, cooking, baking and reading fiction of all genres. 6. If I am not wrong, you once told me you studied together with Amanda at university? Please tell me more. I only accompanied Amanda for a short period of time, to make sure that she was well settled to life abroad at the University of Liverpool, UK. As Amanda is an independent child and the university provided excellent mobility assistance, I was not worried at all, and was contented to leave after a few months. However, in a way, you could say that I studied together with Amanda, in the sense of preparing and translating her college textbooks into Braille for her. Thus, I get to learn a bit about the legal field, and I must say that it is rather enlightening, and I enjoyed reading about the law. 7. What are your words of encouragement to other parents with differently-abled children? Don’t ever give up on your child. Always believe in your child’s ability and do not look down on their disability. Try to support your child in every way and encourage them to pursue their dreams. Always be proud of your child despite their disability. It is important to always support your child in pursuing their dreams. Amanda:- 1. Congratulations on being called to the Malaysian Bar! How does it feel to be finally called a lawyer? Thank you. No doubt, it has been the greatest milestone of my life. I am glad and proud to have managed to come so far. It has been a long and incredible journey, full of ups and downs. I am truly happy that my perseverance and determination finally paid off. I would like to credit my success to all the amazing people in my life who made this possible – my loving family, teachers, lecturers and tutors at BAC and the University of Liverpool, my Pupil Master and all my esteemed colleagues at Messrs Skrine (where I had the honour of completing my pupillage), and my ever helpful friends who stood by me through thick and thin. However, I am aware that this is only the tip of the iceberg, as I still have a long way to go. I am excited to embrace this new chapter in my life, as a member of the legal profession and an officer of the court! 2. Would you consider your feat inspirational? I hope that I will be able to inspire others. I also hope that my achievement will be able to alter the perception of society towards PWDs in Malaysia. The society should look at our abilities, and not our disabilities. I believe that nothing is impossible to achieve, as long as one is willing to work towards it. Someone once said that “the human spirit is one of perseverance, courage and determination that no disability can steal away”, and I totally agree. 3. How would you like to be known? I hope that I will be a successful lawyer in the future. For now, I merely hope that I will be given an opportunity to develop my career. It is truly difficult for me to seek employment, despite being called to the Malaysian Bar. Most legal firms are less enthusiastic in hiring a lawyer with a disability; perhaps they are afraid to take the risk and fear that disability will hinder job performance, and they are not keen to explore unchartered waters, as there are not many disabled lawyers (especially with visual impairment) who have been admitted as an Advocate & Solicitor and are qualified to practice in Malaysia. I want to change this perception, and I hope that I will be given a chance to prove my abilities. Bearing this in mind, in the near future, I would like to be known as an outspoken advocate for the rights of PWDs in Malaysia, which is currently under protected. Championing the rights of PWDs in Malaysia has always been my life goal, and it is one of the primary reasons I decided to venture into the legal field. 4. Give us a glimpse into your school life. What was it like for you? Primary and secondary education: I enrolled in schools with integrated programmes for my primary and secondary education to interact as much as possible with other students, and get to learn along with them, which was fun. A few teachers are really dedicated, and helped with my studies and catered to my needs. Fun fact – I was the only visually impaired candidate to sit for the Additional Mathematics SPM paper, as I was the only student in the school to even take up that elective! 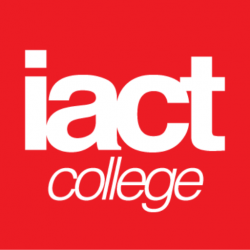 Amanda with her friends since her A-Level days College education: I was extremely grateful to BAC for offering me a place to pursue my legal education. All my lecturers and tutors were accommodating and willing to support me in every way possible. My friends always ensured that I was able to blend in with the others, e.g. they will read out all the notes on slides/whiteboards to me, and helped me around the campus. The support provided to me by the University of Liverpool during the final year of my law degree was excellent. I had mobility support, library assistance, a note taker, and accessible materials (both in Braille and softcopies). Overall, I had an enjoyable and memorable time reading law. 5. How do you spend your free time? I enjoy shopping and travelling with my family, as it is the best time to bond. I also enjoyed reading fiction (especially mystery and thriller genres). I also play the piano as a form of relaxation and have written my own stories, as I have a creative and innovative mind. Amanda dominates the fashion runway with Fashion Designer Hasfitri Yusof at Glamour Includes held recently at KL Gateway Mall 6. Amanda Kong is refreshingly fearless. Is that who you really are? Yes. I believe that nothing is impossible if you are willing to strive towards achieving a particular life goal. Disability is not a hindrance in this respect. I always have a positive outlook towards life. I believe that perseverance and determination is the key to success. One should keep empowering themselves to be successful. In this respect, I think it is appropriate for me to share a quote from Professor Albus Dumbledore, a fictional character from the Harry Potter series – “It is our choices that show who we truly are, far more than our abilities”. Lembah Pantai MP YB Ahmad Fahmi Fadzil congratulates Amanda at Glamour Includes Fashion Runway 2019 7. What is in store for Amanda Kong in the near future? I hope to continue championing the rights of PWDs in Malaysia. I wish to go the distance in promoting an inclusive society as one which enables PWDs to enjoy equal opportunities in society, thus ensuring that their rights are well protected. For example, advocating for guide dog access to be allowed in Malaysia, as it will greatly benefit the visually impaired community in terms of mobility access. I also hope to enjoy life to the fullest and have a rewarding and satisfying career as a lawyer. Minderjit Kaur* is a wheelchair-bound Differently Abled Individual (OKU) who has been looking for employment for the past two years, but without much luck. She is part of almost 500,000 persons with disabilities (PWD) who can become part of the country’s work force and contribute to the nation’s economy, if given the chance. Unfortunately, the doors are simply not fully opened for people like Minderjit and the rest. However, all is not gloom and doom for these persons with disabilities. While the government is trying its best to have 1% employment rate of PWDs within the civil service by 2020, a new project has now been launched with the sole purpose of addressing the need to hire and create a culture that is inclusive for the PWDs in Malaysia. Hello Specialjobs.com.my Specialjobs.com.my is a free online web portal aimed at connecting employers to jobseekers who are differently abled. The mission of this portal is simple – to connect all with opportunity, on both sides of the equation. Simply put: > As job seeker , your resume will reach a massive pool of great employers who are not only compassionate but also sensitive to the needs of the differently abled. > As employer , you’ll gain access to some of the most qualified candidates around. Above all, the best feature is the availability of numerous categories in the portal to ease users in finding the right job or candidate quickly and easily. The idea is to connect employers to differently abled jobseekers with the right talent at no cost. This is the only employment site where 100% of jobs posted on the portal feature employers specifically seeking to hire differently abled individuals. 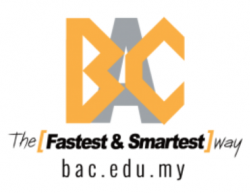 This portal is fully funded by BAC Education Group and supported by the Ministry of Human Resources Malaysia. It was launched on Oct 23 by Minister of Human Resources, YB M Kulasegaran. Also present at the launch was Senator Bathmavathi Krishnan, special needs advocate of Dewan Negara Malaysia. What’s in it for employers? As an employer, the need of the hour is to shift the hiring plan from a corporate social responsibility to a hiring plan that creates business impact. This means having a diverse and inclusive culture that fosters high-performing teams that can better support the business. Its not just all about offering inclusiveness for the PWDs. Employers also benefit in terms of tax deductions under the Income Tax (Deductions for the Employment of Disabled Person) Rules 1982 (PU (A) 73/1982) which allows a double deduction of the remuneration paid to such employees in computing the adjusted income of the employer. Other tax relief for employers include tax rebates under the Income Tax Act 1967 for special training programmes of employees living with disabilities. A study by the Society for Human Resource Management says that the retention rate of PWDs is excellent as they are reliable employees. The Labour Department statistics meanwhile shows the PWDs are less likely to get into work related accidents. So why wait? The platform is ready for all employers and jobseekers to take advantage of, and to make the difference. Here’s what you should do: 1. Employers, if you are looking for talent, our talented jobseekers are ready for hire. We urge you to sign up now at https://specialjobs.com.my/registration/ 2. Jobseekers, this is the right place for you. Submit your resumes now at https://specialjobs.com.my/ Make use of this special employment site to make the difference today. Interested parties can share comments, ideas and suggestions to further improve this effort. Employers can also contribute by running job campaigns for PWDs. Queries can be directed to Thanabalasingam Balakrishnan at +60111 2324948 or thana@bac.edu.my . Sharon Lee had always been passionate about being involved in charity and community programmes. It was nurtured in her from young as she was actively involved in the Leo Club during her schooling days back in the 80s. Subsequently, this passion of hers came in very useful when she was gifted with a special needs daughter. Sharon managed to get her daughter educated but soon realised that once the special needs courses were completed, there were hardly any avenues for these capable individuals to be included in the mainstream workforce. Inevitably this bleak future of not having any opportunity to use their skills after attending the courses made them feel left out and useless. This resulted in Sharon putting on her thinking cap to brainstorm ways to deal with this unfortunate reality; her goal was to create a platform providing employment opportunities to special needs individuals, especially those interested in the culinary arts. Back in mid-2016, the idea of Tender Hearts, a catering business run by special needs adults was created. It started informally and soon Sharon managed to get the social enterprise sorted and registered it in December 2016. Since then, Tender Hearts has grown from strength to strength and moved from just opening pop up stands and small catering jobs to making thousands of their signature chocolate chip cookies for large corporate bodies. Early this year, Sharon decided to take Tender Hearts to the next level and create a permanent venue for the team to ‘anchor’ and hire members of the special needs community on a regular basis. Thus was born the Tender Hearts café in April 2018. The cafe is run by Sharon, a group of parents of special needs children and special needs youth with autism and Down Syndrome. This not only provided some stability to the organisation but also continuous employment for the special needs adults. ‘The café acts as a training centre and future employment place for this pioneer group of special needs adults and will slowly bring in more special needs adults,’ elaborates Sharon. Sharon encourages everyone to be more inclusive towards the special needs community and more importantly to include them into the workforce as they too deserve equal rights and opportunities. She is also grateful to the backing of the Make It Right Movement powered by Brickfields Asia College, which has been very supportive towards helping with the opening of the café and in the design of the menu and brochure. Besides that, the Make It Right Movement has also been sourcing for catering gigs for the café to great success. Tender Hearts café is located at Lot 2.17, Level 2 of Summit USJ in Petaling Jaya. The café has a regular menu and a daily special menu. All the food has a home-cooked vibe with a simple but delicious range of dessert offerings too. Within three months of its opening, the café is breaking even, thanks to its catering gigs. It is hoped that with the support of the community, the catering and café can be two separate profitable entities. Feel free to contact them at tenderheartssent@gmail.com as they welcome any form of support towards inclusion, acceptance and equality for special needs. SpecialNeeds.com.my is delighted to invite equal opportunity employers to join us as we leverage technology for social good. Our mission is to transform the lives of people with special needs and those experiencing complex barriers to work. Using our employment portal, employers can browse resumes from our database, post job openings and register for recruitment drives. Symposiums and Workshops The need to attract, retain and develop an inclusive workforce has never been so important. Recognising the barriers that exist for disabled people in the workplace, and the simple adjustments that can be made can make a huge difference. That’s why we host symposiums and workshops designed to guide you with recruiting and retaining people with special needs. Recruitment Fairs We regularly invite employers to our recruitment drives to meet with eligible talent. These drives provide the kind of on-site context and face-to-face interaction that help make recruitment more productive and successful. Interested in gaining access to some of the top talent available in Malaysia? Contact us now.